Below you can view all the homes for sale in the Canyons Macdonald Ranch subdivision located in Henderson Nevada. 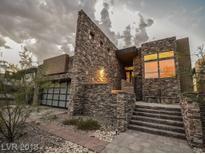 Listings in Canyons Macdonald Ranch are updated daily from data we receive from the Las Vegas multiple listing service. To learn more about any of these homes or to receive custom notifications when a new property is listed for sale in Canyons Macdonald Ranch, give us a call at 702-323-5903. Entertain Family & Friends on 1 of 3 Terraces. MLS#2088193. Pivot Modern, LLC. 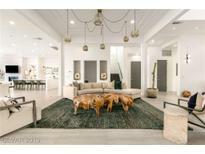 Home Features Fine Finishes, 6500+ sqft, 5 ensuite bedrooms, Gourmet Chef's Kitchen, Theatre, Pool, Spa, & Built in BBQ & More! MLS#2086438. LUXE Estates & Lifestyles LLC. $300K UnderValued!Immaculate, Move-In Ready!Enjoy Panoramic views of spectacular sunsets,LV Strip lights & adjacent mountains from every room inside & outside making Indoor/Outdoor Living at its Finest.Gated features Huge great room,family room,designer kitchen,dining room,An entertainer's dream,THEATER ROOM; Elevator Option;every bedroom & room has access to the pool/spa! MLS#2032502. Compass Realty & Management, L.